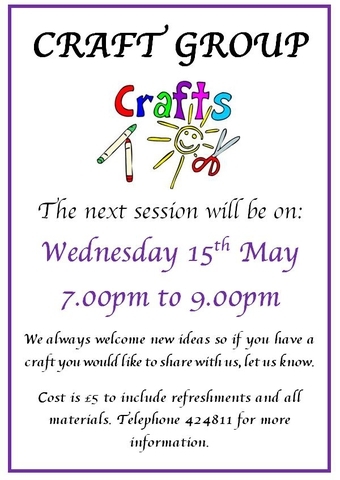 Come and join us at our friendly Craft Group. Usually held on the 3rd Wednesday of each month. 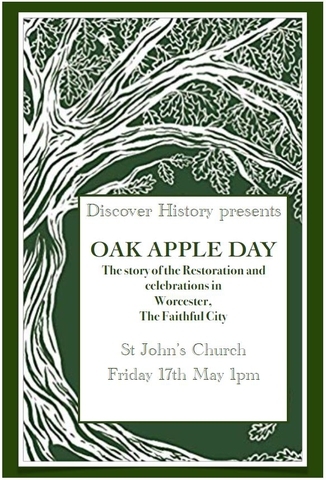 Oak Apple Day - the story of the Restoration and celebrations in Worcester, The Faithful City. There will be a day of activity in St John's Church to support this year's Christian Aid Week. This year's appeal is for Sierra Leone and is aimed at helping improve the poor infant mortality rates in that country by supporting the building of health clinics. 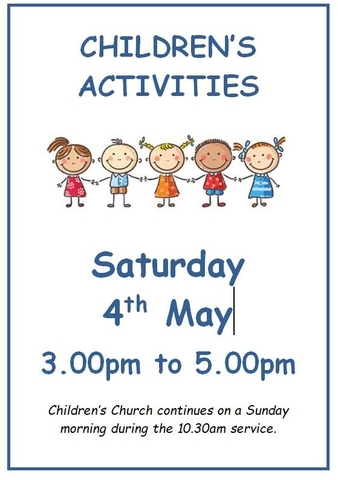 There will be a range of activities including stalls, children's activities and music and the day will end with a short service. 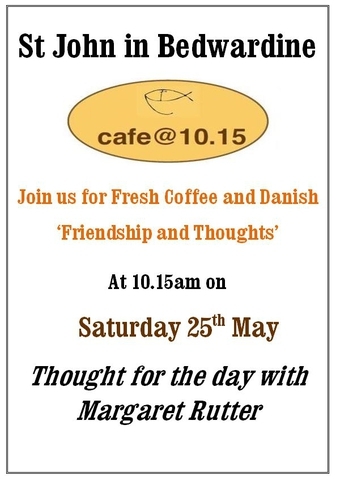 Light refreshments will be available during the day. 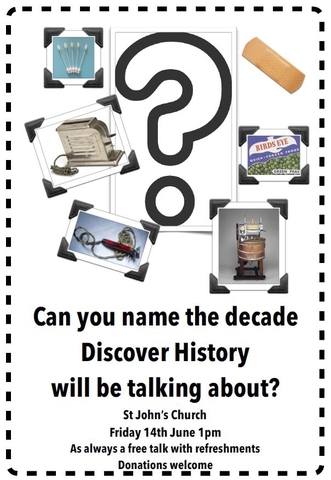 Can you name the decade Discover History will be talking about? 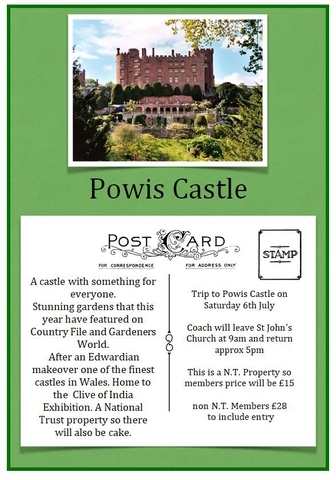 Coach will leave St John's Church at 9am and return at approximately 5pm. This is a NT property so members price will be £15. Non members £28 to include entry. 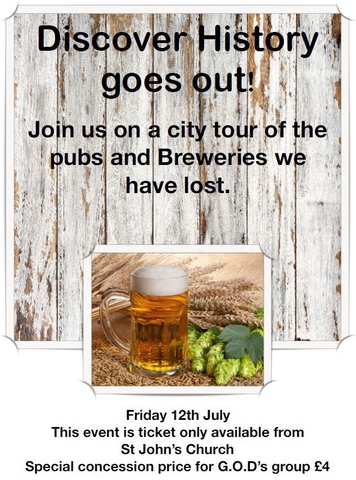 Join us on a city tour of the pubs and breweries we have lost. 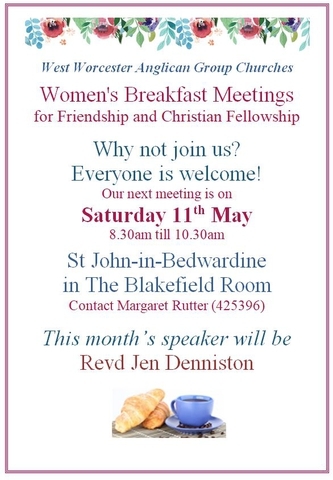 This event is ticket only available from St John's Church. £4 each. 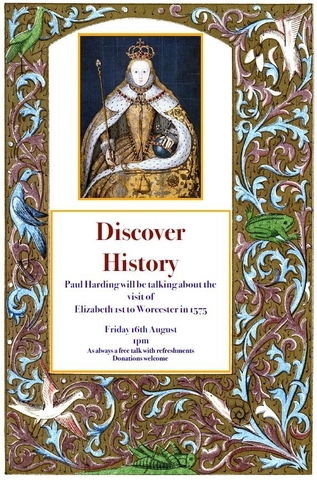 Paul Harding from Discover History will be talking about the visit of Elizabeth 1st to Worcester in 1575. 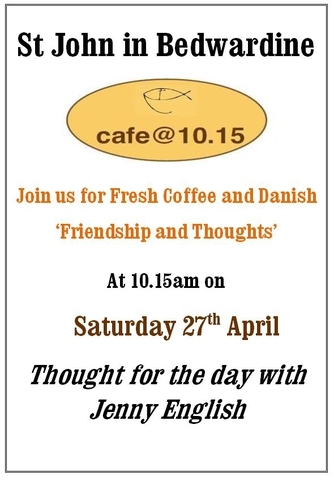 Coach will leave St John's Church at 9am and return at approximately 4pm. 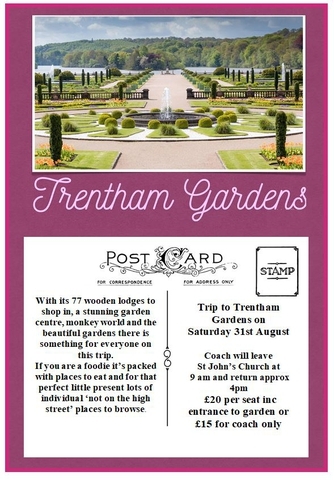 £20 per seat including entrance to garden. £15 for coach only. 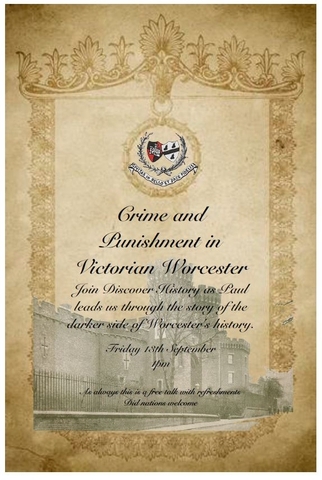 Crime and punishment in Victorian Worcester with Discover History.